Join industry thought leader Jason Averbook for an exclusive full-day Masterclass on 10th May as he shares further insights into the new world of work. Our role as HR practitioners has changed forever. No longer are we implementing tools for the HR function; we are deploying solutions and capabilities for the workforce - from candidate to retirement - for every phase of the employee lifecycle. 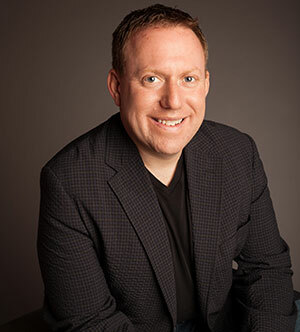 During this 8-hour masterclass and leveraging tips from his latest book "The Ultimate Guide to a Digital Workforce Experience - Leap for a Purpose", Jason Averbook will share a step-by-step guide of giving employees a rich, personalized, and convenient experience. At the end of this session, you should be able to take back principles on creating a vision and strategy for a digital workforce experience, learn how to execute and sustain it for the future, and implement his proven formula of 20/25/45/10 of a digital workforce strategy. This class is an opportunity for you to re-imagine what the workforce experience looks like in your organization and build a "gateway" for delivering a "frictionless" workplace digital transformation and a culture for sustainable growth. Disclaimer: Changes to the conference. HRM Asia may (at its sole discretion) change the format, speakers, participants, content, venue location and programme or any other aspect of the Conference at any time and for any reason, whether or not due to a Force Majeure event, in each case without liability. Copyright @ HR FESTIVAL ASIA 2019. All Rights Reserved.